De Mouth Cuisine is a restaurant that serves Chinese seafood with a friendly twist: it is certified halal! It is hard to find halal authentic Chinese food in Ipoh and De Mouth Cuisine caters to everyone. Must order dishes at De Mouth Cuisine include Fried Grouper in Oyster sauce, Yin Yang Kailan and their Salted Egg Soft Shell Crabs. De Mouth Cuisine also does buffet catering for outdoor events. The dining area at De Mouth Cuisine is spacious and comfortable, with a warm golden hue all around with splashes of red decor here and there, the usual scene and vibe from a big Chinese seafood restaurant. De Mouth Cuisine also has a fully equipped ballroom for grander events. De Mouth Cuisine also does wedding planning and decoration styling to suit your event needs. 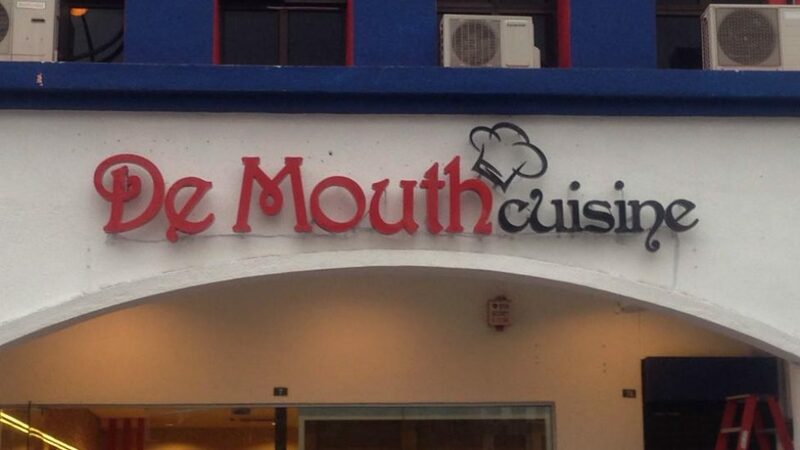 De Mouth Cuisine is located in Greentown which has ample and easy parking at night and during the weekends. However be aware that during peak office hours parking can be difficult.